The YB70 is a part of the all-new Alvarez-Yairi Series and is simply superb. Tuned from B to B, the ABT60 is pitched between a dreadnought and acoustic bass to give you deep tones with easy playability. Our Dreadnoughts are powerful and wonderful guitars to play. Great quality tone from bass to sparkle and in everything in between. The 66 models are beautifully finished and have a deep glass-like shine. Alvarez Masterworks are instruments designed to deliver in terms of tone, intonation, clarity and reliability. The DYMR70SB is a part of the all-new Alvarez-Yairi Series and is simply superb. 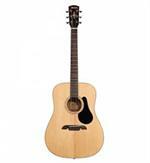 The DYM70SB is a part of the all-new Alvarez-Yairi Series and is simply superb. The Alvarez Regent Series is designed as an entry level guitar that will keep new players focused and excited about their instrument. The FYM75 is a part of the all-new Alvarez-Yairi Series and is simply superb. Alvarez OM models are constructed to get best out of their smaller body. Carefully designed with a unique bracing pattern and arched back to give you an incredible tone and response from a small bodied guitar. 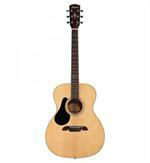 The PY70 is a part of the all-new Alvarez-Yairi Series and is simply superb. The AP70 is a based on a traditional parlor guitar but built to offer a more modern sound with greater projection.